There’s a new Deputy Sheriff in Buchanan County. 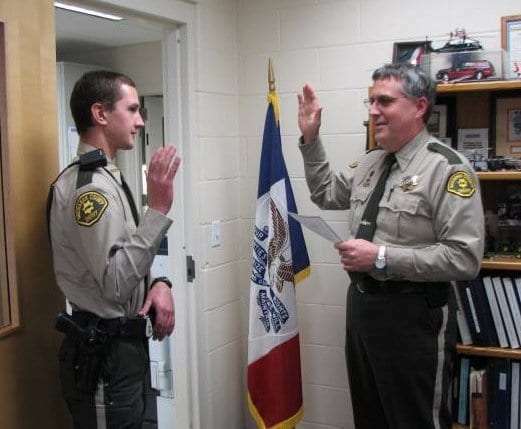 Sheriff Bill Wolfgram has selected Alex Bovy to fill the position. Bovy is originally from Reinbeck. He graduated from the Iowa Law Enforcement Academy in May 2014 and previously worked as a police officer for the City of Jesup. Bovy replaces Lieutenant Jerry Furness, who retired in September.